On 25 December, four ISIS fighters undertook a suicide attack on Libya’s foreign ministry in Tripoli, killing three people and wounding at least 21 more. 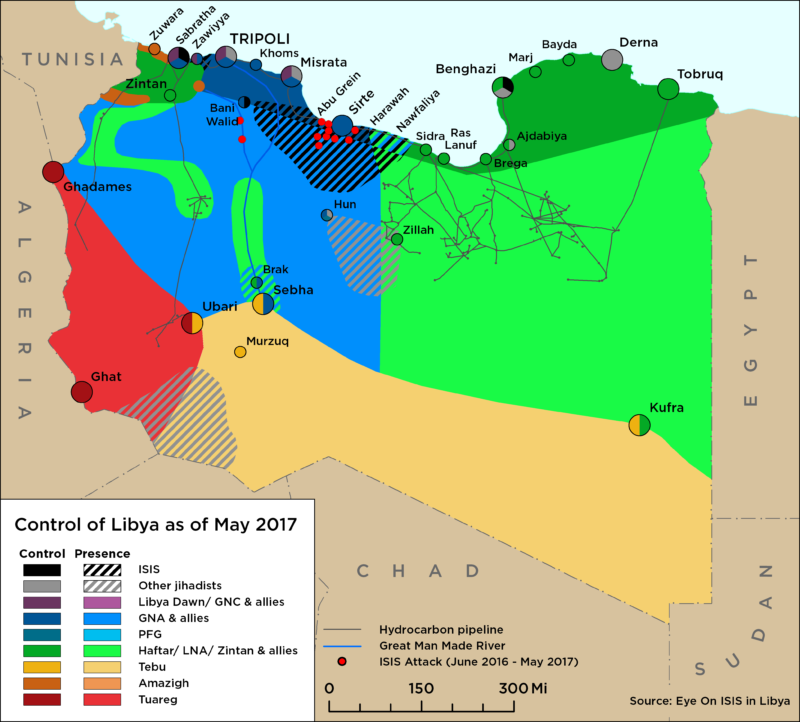 On 25 September, a ceasefire was brokered between the Tripoli Protection Force and Tarhuna’s 7th Brigade that saw the latter withdraw to the areas of control agreed in the UN-brokered ceasefire of 9 September. This coincided with forces under the command of Salah Badi retreating withdrawing from the Airport road. On 18 September, hostilities erupt between militia groups south of Tripoli despite UN ceasefire. On 17 September, the security of Tripoli’s Mitigia airport had been handed over to the Central Security Forces. On 16 September, the GNA form joint force under the leadership of the commander of the western military zone. 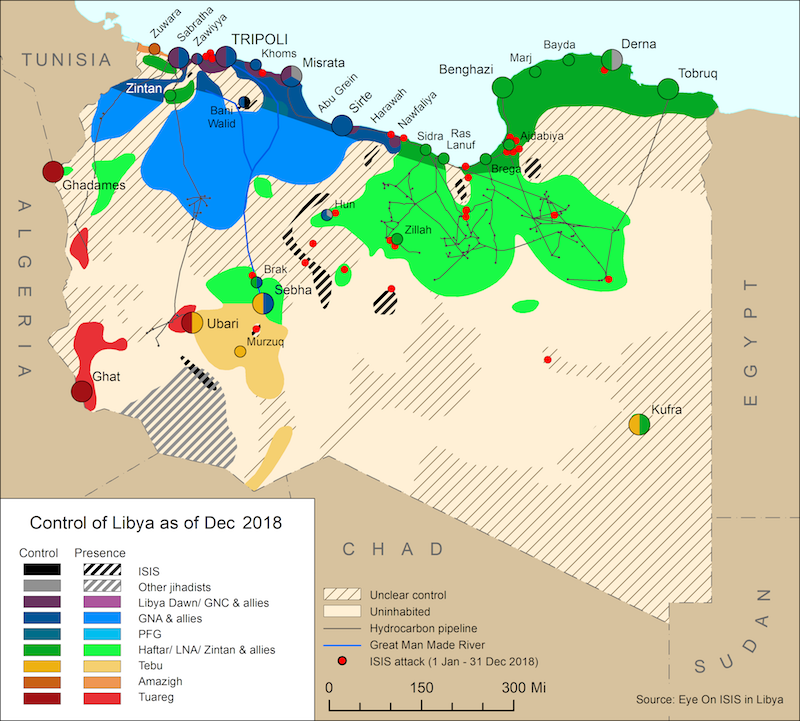 On 10 September, three ISIS fighters raided Libya’s National Oil Corporation (NOC) offices in central Tripoli, leaving at least two staff members dead and another 10 injured. The following day ISIS’s media wing, Nashir, claimed responsibility for the attack. On 9 September, UNSMIL gathered together the key rival factions involved in the militia clashes in Tripoli that began on 26 August to sign an eight-point agreement that included a pledge to refrain from extorting sovereign institutions. This is the second meeting in over a fortnight, with the first initiating the current ceasefire.